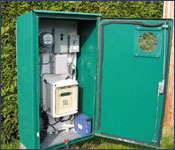 SFE Global prides itself in being an independent flow monitoring service provider to all sectors. We are not a manufacturer or manufacturers representative of flow meters. Our primary objective is to offer excellent service and quality data independent of a singular manufacturer of flow monitoring equipment. SFE utilizes only the latest and proven technology from leading manufacturers for our projects. In addition to the benefit of only the best equipment available being used on your projects, SFE is also the only firm to implement custom compound weir designs and installations in our flow monitoring programs. The result… flow monitoring data became substantially more accurate and repeatable. Please review “Custom Compound Weirs – A Technical Paper” for more information. 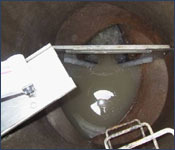 Sanitary Sewers – Capacity Studies, Inflow & Infiltration Studies, Billing Stations. 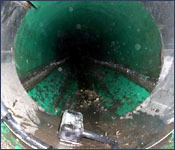 Storm Water – Sewers, Creeks, Culverts, Streams, Creeks. Pressurized Systems – Water, Wastewater, and Industrial. Meter Verifications UtilizingTransit Time, Doppler, and Insertion Mag Technologies.